Dr Clint Miller is a Lecturer in the School of Exercise and Nutrition Sciences at Deakin University. 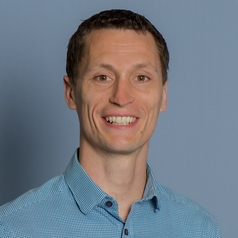 He has taught at the tertiary level since 2010 and has been working as an Accredited Exercise Physiologist in clinical practice since 2004 with a specific focus on using exercise as treatment for musculoskeletal and metabolic conditions. His research focusses on the role of exercise for changes in body composition and physical function in severe obesity, chronic low back pain, and ageing.